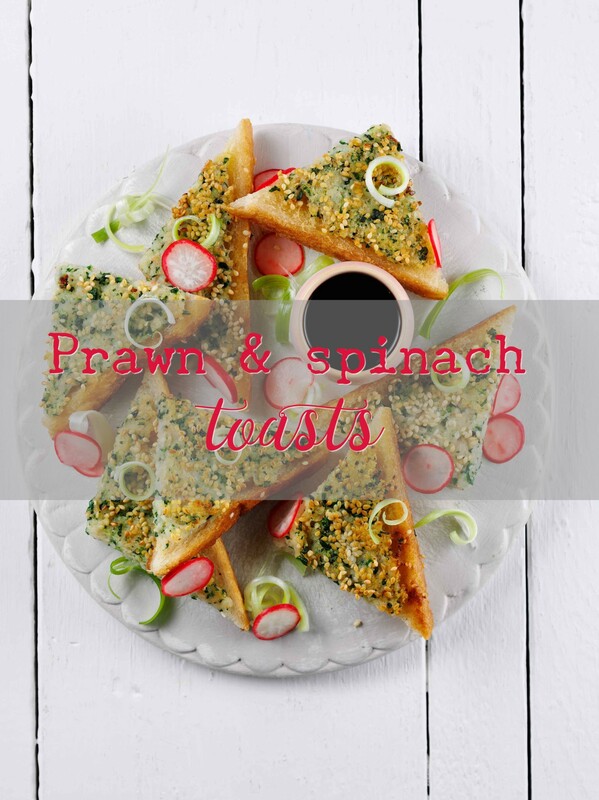 Blend together cooked prawns and cooked spinach. Spread on 50:50 bread, sprinkle with sesame seeds and fry – topping side down first – in a pan over a gentle heat. Flip and cook the other side. Serve with pickled veggies and soy sauce. Great for sharing!